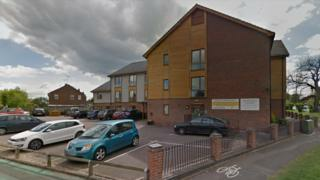 Welfare concerns at a care home where a resident was abused have more than quadrupled in a three-year period. Figures seen by the BBC show serious concerns reported to Luton Borough Council about Mulberry Court jumped from eight in 2016 to 37 in 2018. A spokesman said it was continuing "very close monitoring of the home". Runwood Homes said the increase was down to a "positive reporting culture", and that service monitoring "will remain at forensic levels". After safeguarding concerns are raised, further investigations are carried out made to see whether an inquiry should be made under Section 42 of the Care Act 2014. According to the Social Care Institute for Excellence, these are undertaken "in response to indications of abuse or neglect in relation to an adult with care and support needs". Luton Borough Council is conducting an "urgent investigation" after confirming that 87-year-old Kenneth Savage suffered abuse there in 2018. His widow, Jessie Savage, said she needed "to get something done. If it's not for Ken's justice, it's for others". The home was put in special measures by the Care Quality Commission (CQC) following a damning report in May 2018. Runwood Homes said in a statement: "As an organisation we have taken on board any key actions and retained and instructed professional consultants who in partnership with our team continue to oversee a robust recovery of the service. "We continue to work in partnership with our colleagues at Luton and CQC to ensure standards are sustained and experience is improved." Luton Borough Council said: "Our quality assurance, commissioning and safeguarding teams are working closely with Mulberry Court on an action plan of improvement."